Well, there is very little I can say after quoting the title of Bokshai’s first triptych of canvases. And he meant it. 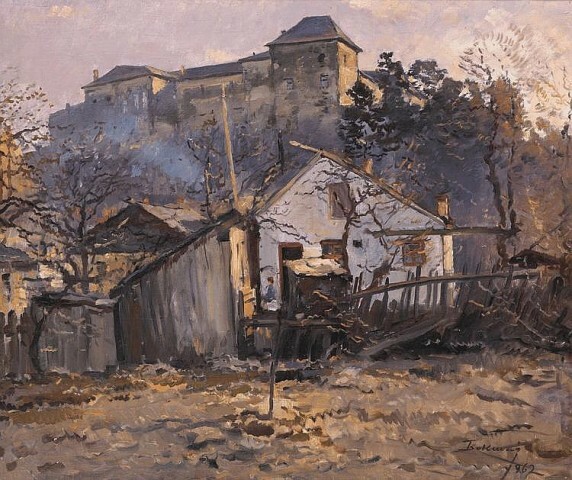 Writing about him puts us back to the beginnings of the Rusyn “Barbizon” in the early 20th century, now considered a classical period of Carpatho-Rusyn art. Bokshai was devoted to his homeland and his artwork shows the depth of that commitment. He was one of the founders of the Transcarpathian School of Painting and the Public School of Painting, training younger generations and giving a distinctive direction to Carpatho-Rusyn art. Bokshay has a great online presence so you can find his works easily. I picked The Castle in Uzhhorod for its almost metallic quality, a modest color palette, gorgeous play of twilight against the castle walls, and, well, because I am intrigued by castles in general so – forgive me. What I did have trouble finding was his altarpieces and frescoes, although he decorated numerous churches in Transcarpathia. 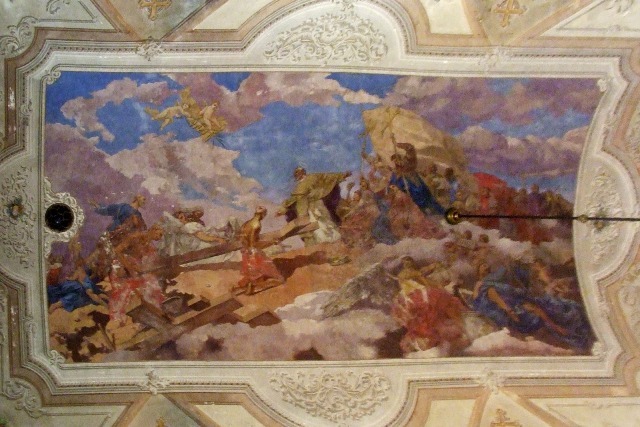 I found one photograph from a Greek Catholic Church in Uzhhorod – his ceiling fresco, and a very important one, too – The Exaltation of the Life-Giving Cross from 1939.